I'm back from a great week spent in Ireland and have been busily digging through the backlog in my mail and blogosphere since early morning. Let's start from a real bomb. 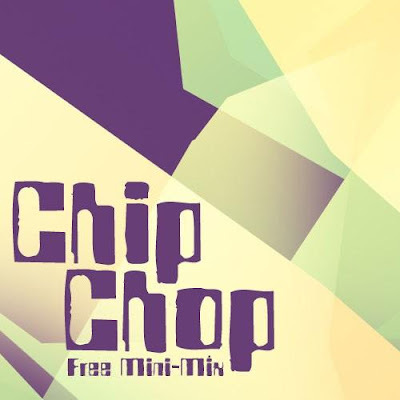 Chip Chop is a live production and percussion duo featuring Portland, OR based producer Graintable and Lake Tahoe, CA producer/drummer AD/AM. They came to my radar first through the glitchhop forum and a great mix done by Graintable - read my blog and grab this mix here. The eclectic selection of tracks from that mix and a few productions by graintable and chip chop I've heard since then (Los Gorditos!!) immediately put them on my list of top producers to watch in the future. This mini mix of exclusive productions from this duo only proves their skills and delivers a real music gem of fantastic production quality and intelligent and infectious concepts. It’s not only bass heavy, whompy glitch-hop headbanging ting, but much more. An extended journey through the realms ruled by very very low sub-bass, deconstructed percussions, great synths and looping glitchy beats with a typical graintable-like spacey touch. The balance between heavier beats and more mellow sounds (like in Puking Rainbows) is perfectly maintained throughout the mix oscillating up and down to the filthy rhythms generated by the naughty boys. All the Untiled & Unfinished tracks are great (especially second one) – I am eagerly waiting for their final versions. Puking Rainbows is mystic and Launch Blank is a f...g fantastic way to end this superb mix ! I hope to hear a chip chop mix sequeul soon!! Chip Chop has already shared the stage with Bassnectar, Ooah, Free The Robots, Gift Of Gab, Del The Funky Homosapian, Mad Professor, KJ Sawka, Eoto and many others, so you see we deal here with no rookies in da business. It's not surprising at all that Chip Chop will release it's first track on Run Riot Records "Motion Sickness" compilation this summer - available on iTunes and Addictech.com.